← What do you know about Tisha B’Av? Our photo below was made at En Gedi. 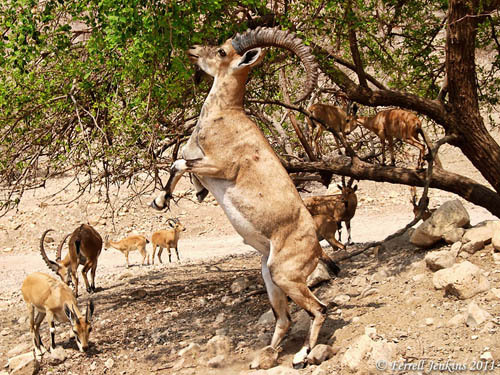 A large Ibex at En Gedi. Photo by Ferrell Jenkins. The Psalmist says the high mountains are for the wild goats. 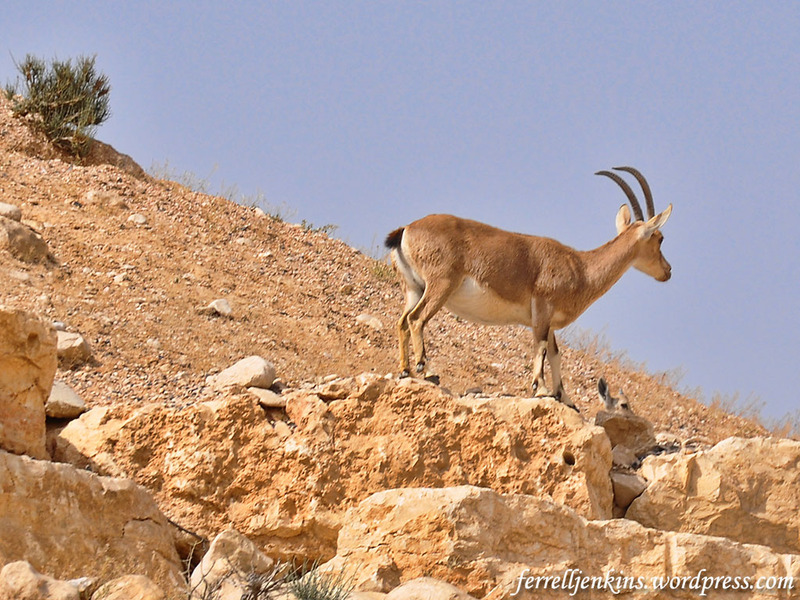 The final photo today shows an Ibex on the high rocks of the Negev near Ein Avedat, about 40 miles south of Beersheba. She has paused for her little one. Look carefully below the neck of the mother. Only the head of the kid is visible. Click on the photo for a larger, clearer image. An Ibex in the Negev near Ein Avedat. Photo by Ferrell Jenkins. This entry was posted in Bible Lands, Bible Places, Bible Study, Israel, Old Testament, Photography, Travel. Bookmark the permalink.